For this EVP recording session we returned to a private house that we have done a lot of research at and have obtained good EVP results each time. We brought a mini recording studio set up complete with multitrack recording capability. 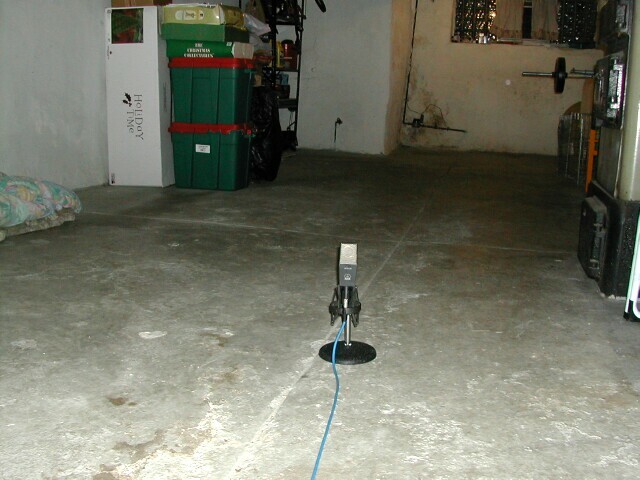 We placed microphones in various sections of the home and monitored the records live with headphones. 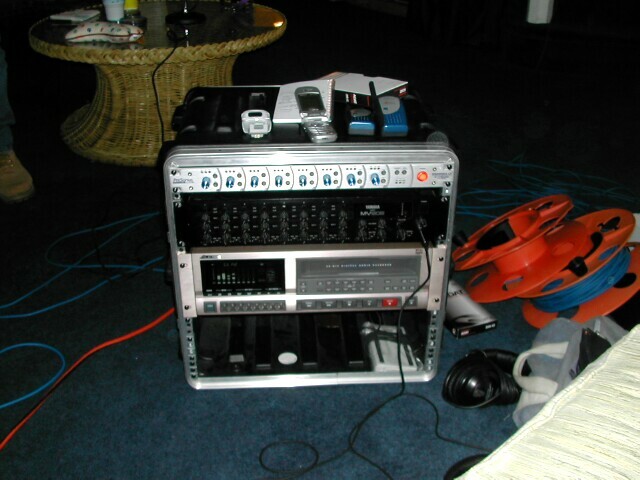 Each microphone was recorded on it's own track on the tape. We had the clients and investigators talk normally and waited to see if the sounds and voices that have been reported and observed here before would be recorded by the hi-tech equipment. We also wanted to see if the sounds that were being heard real time by the clients and investigators would also be recorded on the tape. 9:00 pm: J. Altman was touched from behind almost immediately upon entering the home (we didn’t inform the owners about the event at the time). 9:03 – 9:25 pm: Equipment set up. 9:25 pm: Start recording, mics placed in the kitchenette (mic 1), basement (mic 2), upstairs front bedroom (mic 3), and living room, where owners and investigators stayed and talked throughout most of the investigation (mic 4). 9:45 pm: Investigators and owners heard pages turning, shuffling, and other noises coming from mic 3 over headset. 9:54 pm: Everyone heard footsteps, scraping noises, general movement, metal clanks and claps coming from mic 3 over headset. Some of these noises could have been projecting into the basement from the 2 dogs present and house settling, etc. J. Altman also heard whispers coming from back bedroom, on other side of closed door before going in to take pictures. We recommend re-doing the EVP experiment without dogs in the house and possibly later in the evening. Also, we would like to record while using white noise to test the theory of spirits using existing sound to produce EVP’s. It was obvious from the recordings that something struck mic 2 in the basement. Also, the video camera did not work in the basement. The video camera worked fine in the upstairs back bedroom, however, noises heard over the headset immediately ceased once the camera was placed in the room. None of the sounds that people heard over the headphones were actually picked up while recording. None of the EVPs recorded were heard at the time of the recording.